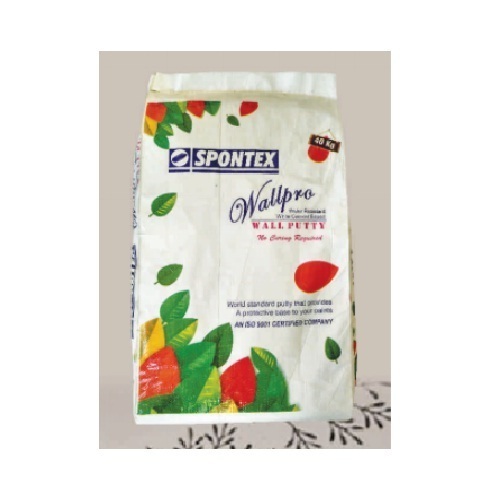 Established in the year 1985, Spontex Coating & Chemicals is engaged in manufacturing, exporting and supplying impeccable Cement Based Paint and Wall Putty. Our range includes ISO 9001: 2008 certified Textured Finishes, Cement Based Paints and Premium Gloss Finish Exterior Paint which are applauded for its longer shelf life, no impurity and supreme quality. For providing non-chalking and alluring exterior, the offered is precisely processed by using latest technology. Moreover, for meeting preferences of a large number of patrons, our products are offered in wide plethora. With major stress being laid upon qualitative products, we are moving rapidly towards achieving new milestones in the arena of client satisfaction. Owing to all these strengths, competitive pricing, ethical business policies and marketing excellence we emerged as an enviable name in Europe, England, South America and Middle East. For bringing forth such superior range, we are backed by talented and hardworking team, which works with unmatched dedication to meet diverse demands of patrons. Our infrastructure comprises all requisite machineries for manufacturing and finishing of a wide range of products. Moreover, we use qualitative raw material that are sourced from highly reputed vendors that further assists us in ensuring optimum quality products. A hi-tech quality inspecting unit has been constructed that is provided with current examining tackle and technology for preserving quality of our products. We work in close coordination with our valued clients in order to deliver them with perfect solutions as per exact requirements.